Yukio‘Ramana,’ MA, CCHT, started his study of meditation and psychology in 1967 with Zen meditation and Gestalt Therapy. His studies continued through the 1970’s with a Taoist Master, Chu Fong Chu in Berkeley, California, where he continued his studies in Psychology and Taoist philosophy. In 1977, he was certified as a biofeedback therapist and maintained a private practice and lectured on biofeedback in Berkeley, California. He pioneered a Rolfing/Biofeedback study which confirmed in 1977 that the Rolfing work was stabilized with Biofeedback. In the early 1980’s, he co-founded the Fellowship of Awakening along with Shakti Gawain (author of 'Creative Visualization'), Tolly Burkan (firewalking teacher to Tony Robbins) and Mark Allen (publisher of Ekhart Tolle's, 'The Power of Now'), teaching creative visualization, affirmation, rebirthing, biofeedback and principles of clearing consciousness. He then obtained Master’s degree is in Psychology and Transpersonal Studies from Norwich University, New Hampshire. In 1990, Ramana co-founded and was the Education Director of the Transpersonal Hypnotherapy Institute. Here, he brought his skills as a Certified Clinical Hypnotherapist, an NLP Master Practitioner Trainer’s Trainer, an Ericksonian Hypnosis Master Practitioner, a Certified Biofeedback Therapist to help make the training institute one of (then) top three hypnosis and hypnotherapy professional training schools in the United States. Ramana has lectured at the world famous Esalen Institute, the University Extensions of San Francisco State and Davis University, the University of Wyoming, and at the Association for Transpersonal Psychology’s Annual Conference. He worked with the Denver General Hospital’s Cancer Support Network, and became well known in that group for some of the ‘miracles’ of cancer recovery from people who worked with him. In 1993, Ramana studied with a great Indian saint, Hari Lal Pooja (affectionately known as ‘Papaji’) in the Punjabi district of India. Papaji was a direct disciple of one of India’s greatest saints, Sri Ramana Maharshi. In turn, before Papaji passed, gave Yukio the name ‘Ramana’, after his own beloved master Ramana Maharshi, and encouraged him to carry the message of truth to groups and individuals. 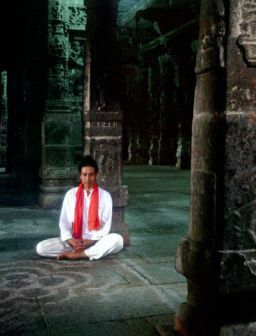 In 1997, Ramana combined his years as a Transpersonal psychotherapist, hypnosis, NLP, biofeedback, Taoist philosophy, creative visualization with his studies of ancient Indian teachings (from masters throughout India) to create “Radical Awakening and the Opening to Heart Consciousness’ which precipitates an opening into the true self of Being. He has found that when Being is in alignment with the true self, the space of unbounded of love and energy emerges, which sometimes opens deep healings at a physical, mental, emotional and spiritual level. Ramana has been teaching and maintaining a private psychotherapy and healing arts practice since 1978. He now resides in both New York and India. Since 1997, he has traveled full-time throughout the United States, Canada and the East sharing his work, Radical Awakening and the Opening to Heart Consciousness, and has trained hundreds of practitioners to continue his work.